The biggest eSports prize fund in EGX’s history will be up for grabs this September in Birmingham. EGX, the UK’s biggest games event, and Gfinity, the leading eSports organisation formed by gamers and with the backing of successful investors, is thrilled to announce they will be hosting two tournaments for more than $100,000 at this year’s EGX, running at the NEC, Birmingham from 24th to 27th September 2015. The Gfinity stand will give EGX attendees a comprehensive eSports experience, allowing them to meet some of the top pro-gamers in the world, plus see them in action competing for more than $100,000 in prize money across Counter-Strike: Global Offensive (CS:GO) and StarCraft 2, the largest prize pot in EGX history. 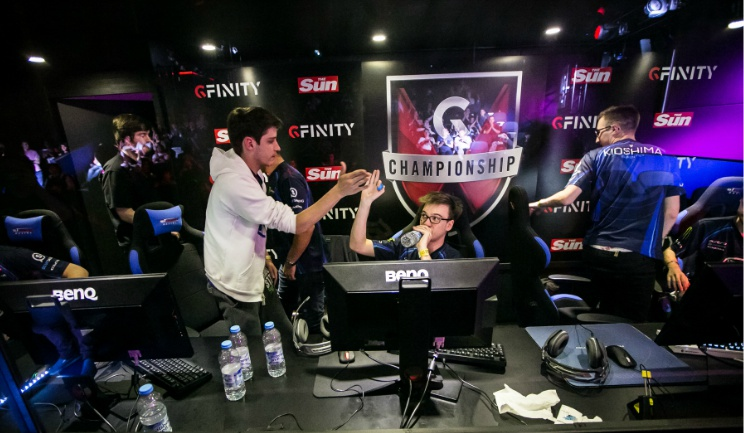 The $100,000 Gfinity Champion of Champions event will see the top four teams from previous Gfinity events – fnatic, Ninjas in Pyjamas, Team EnvyUs and Virtus Pro – compete on Saturday 26th and Sunday 27th for the coveted title of Gfinity CS:GO Champions 2015. Prior to the weekend, the final Gfinity Summer Masters for StarCraft 2 will see eight of the world’s best players compete live from the show floor. “We are very excited to announce that we’ll be partnering with EGX to bring elite level eSports to the event for the first time”. Said Martin Wyatt, Head of Partnerships at Gfinity. “Following our successful debut at the show in 2014 we have decided to bring the culmination of our CS:GO and Starcraft 2 seasons to the NEC and 80,000 people. With over $100,000 to play for and the very best playing talent in the world in attendance this is an amazing opportunity for the EGX crowd to witness world class eSports live and in person”. David Lilley, Managing Director of Gamer Events, added, “eSports is exploding worldwide and we’re delighted to be working more closely with Gfinity to bring the UK’s premier eSports experience to EGX. Visitors will see the world’s finest gaming stars compete at the highest level and may even pick up a trick or two to help them win next year’s prize pot”. For more information about Gfinity Champion of Champions, Gfinity CS:GO Champions 2015, Gfinity Summer Masters and the full schedule of events please visit www.gfinity.net . EGX will take place at the NEC, Birmingham from 24th to 27th September 2015. For more information about all the activity at the event, including eSports, hundreds of playable games and dozens of exclusive developer announcements, please visit www.egx.net/egx . This entry was posted in 2, Developer, game, games, Games Developer, train, train 2 game, Train2Game, www.train2game-news.co.uk and tagged 2, EGX, eSports, game, Games Developer, games industry, Gfinity, train, Train2Game, Video Games by Train2Game Blogger Team. Bookmark the permalink.